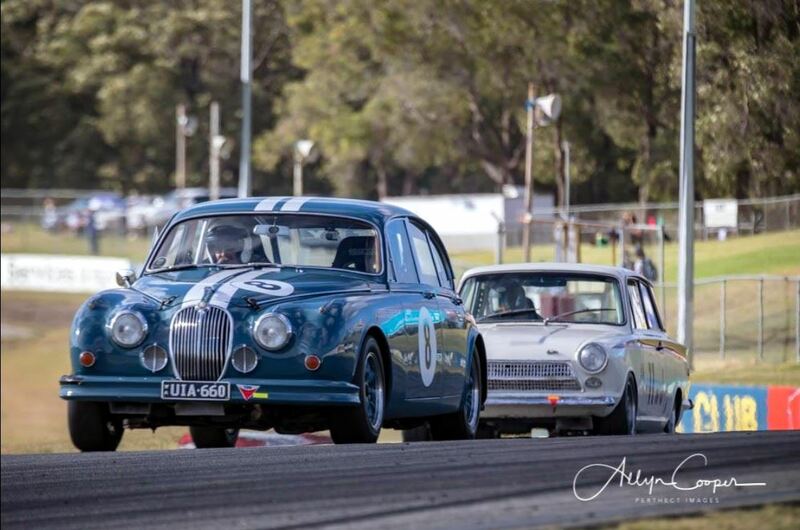 On the 2nd and 3rd of March, on the Labour Day long weekend, the WA Sporting Car Club (WASCC) is celebrating a very special occasion in the history of WA Motorsport, the Golden Anniversary of the first public race meeting at the Wanneroo track on 2nd March 1969. The WASCC have invited us to display at that race meeting, examples of the Jaguar models which graced the Raceway in those early days. A copy of the WASCC invitation is attached. We are to be a prominent part of a large Heritage Display featuring many iconic marques (but none quite so iconic as our Jaags). Whilst initially particularly seeking examples of Mk2s and E Types, they would be pleased to have any Jaguars with racing pedigree in the Heritage Display. Models that spring to mind of course include any SSs, any of the 50s – 60s XKs, C, D and E Types, MkVIIs, Mk1s, Mk2s, XJS, XJC etc, especially any cars sporting racing or sponsorship livery. This is to be the first race event at the track after it’s resurfacing so the program will be full and includes all WA Race categories as well as regularity competing over the 2 days (the program of events is attached). Large crowds are expected so it would be great to have a strong representation from our club, even if your car is not of the type to include in the heritage display. Of course there will be at least one thundering championship winning Mk2 competing in the Historic Touring Car events so any support from our members will be welcome. The WASCC are looking for display cars on both the Saturday and Sunday with the requirement that they be in place before 10:00 am (Saturday) and 9:30 am (Sunday) and remain on display at least until the completion of the scheduled lunch break (approx. 1.30 pm Saturday and 12:30 Sunday). There doesn’t seem to be a restriction on Heritage Display numbers, the WASCC just need to know numbers by 11 February so that they can allocate appropriate space for our premier display. You might notice from the program of events that there is to be a lunchtime Gridwalk display of the Historic Touring Cars on Sunday 3 March so if you can make it along on only one day of the two, as the Historic Touring Cars most closely align to our own grand tourers, perhaps the Sunday might be best. Please mark this date in your diary, register for the event on the website before 10 February noting details of the car you are able to display, and on which day or days, so that I can in turn advise the WASCC. Please contact me with these details if you have any problem navigating the Website registration. Please advise if you can help in marshalling our cars into their allocated positions, or setting up club banners, flags or shade marquees. I’d take this on but I suspect I will be busy doing my best to entertain in another manner.